With iOS 5.0 expected to be previewed at Wednesday’s Apple event in San Francisco, iOS users the world over will be hoping that the much-maligned notification system will get a long overdue overhaul. With the current modal system being what many would consider the operating system’s main weak-point, fans and pundits alike can agree something needs to change. 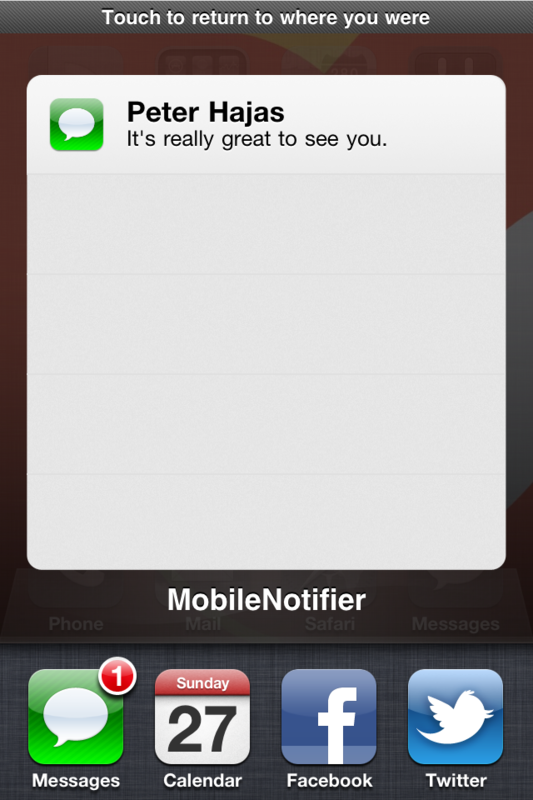 If Apple is looking at altering its notification system it need look no further than Peter Hajas’ MobileNotifier, now in its 3rd beta. 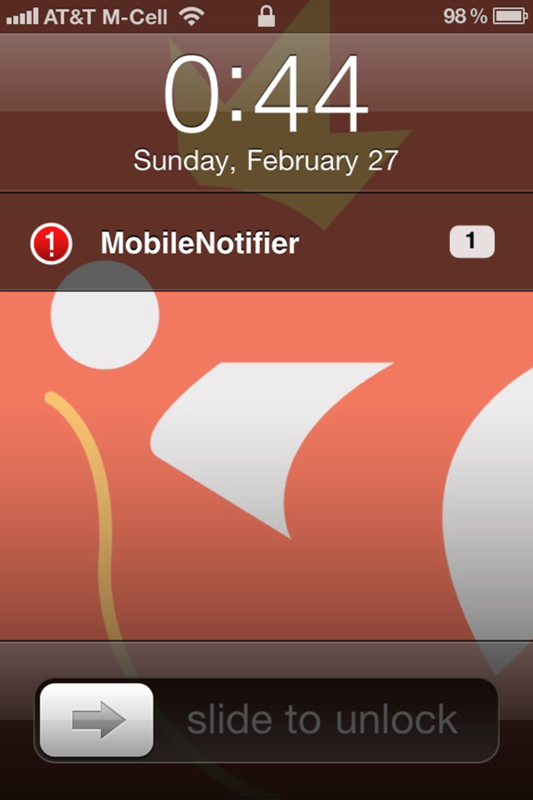 MobileNotifier is an open-source alternative to Apple’s current notification system for those willing to jailbreak their device. Aiming to make notifications more useful, developer Peter Hajas has set about completely rewriting how iOS handles incoming SMS, push notifications and anything else that would normally appear in the dreaded notification bubble. Perhaps the most interesting feature of MobileNotifier is one Hajas calls the AlertDashboard. Accessed by bringing up the iOS multitasking tray, AlertDashboard lists your pending notifications and allows you to either dismiss them, or take action on them. The theory here is that no notification gets left behind, fixing our main issue with the way iOS currently handles alerts. Right now, receiving multiple notifications can cause confusion, with some older, unread messages going astray. AlertDashboard stops this from happening. Needless to say, we at Redmond Pie are pleased as punch that Peter has put MobileNotifier together. Even if jailbreaking isn’t your particular cup of tea, developers like Peter creating apps of this caliber can only be a good thing. Hopefully Apple is watching – afte-rall, it wouldn’t be the first time the boys from Cupertino have taken a leaf out of the jailbreak book. The App Store did follow in Cydia’s footsteps! Simply add http://phajas.xen.prgmr.com/repo repository in Cydia to install MobileNotifier on your iPhone.